The NiftyPSU Bank index has closed positive for five consecutively sessions, crossing its 200-days moving average (DMA) at 2,957 levels. The 100 DMA has also moved upward and is getting closer to its 200 DMA. A possible crossover will eventually lead to a more strength and there are chances that the index will see more bullish sentiment going ahead. Currently, the 50 DMA is on the verge of negative crossover. However, till the index holds 2,850 levels, the trend remains positive. Similarly, the 100 DMA is at 2919 levels, which is acting as an immediate support for the index. The trend-following indicator MACD (moving average convergence and divergence) is in process of crossing zero line, an indication of positive momentum. The exponential moving averages that acknowledge recent price changes support the underline trend. The RSI (Relative Strength Index) is trading around 61, 9 points away from an over-bought territory. Hence, room for further rise still exists. The immediate resistance falls in the 3100 – 3200 zone. The index may see further pressure around the 3550 mark. 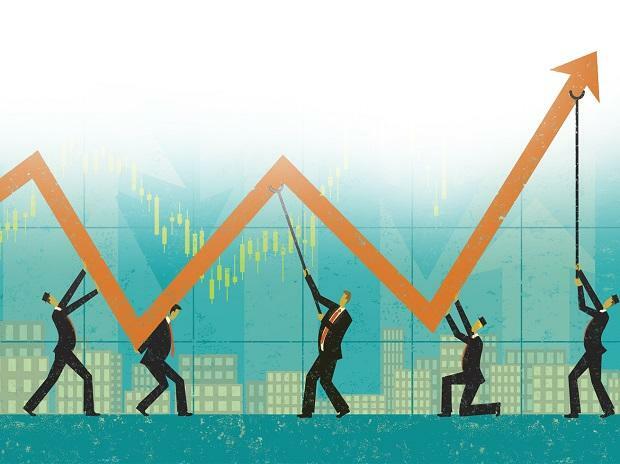 Among stocks, Allahabad Bank - up 20 per cent in a month and Punjab National Bank (PNB) that has surged 16 per cent in a month have provided strength to the index.